Voting for the Board of Directors election ended March 4th, at 4:00 pm. Votes are tallied and audited by myCUBallot, a third-party. Election results will be shared at the Annual Meeting on Saturday, April 6, 2019. All members are welcome to attend the meeting where they can meet our newly elected Board of Directors and hear from our Executive Team. We will host a brunch, served immediately after the meeting. Click here for more details. 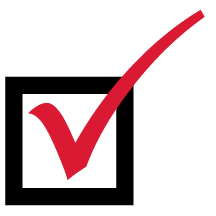 Once we receive the audited election results, the Board Nominating Committee will contact each candidate directly. A big THANK YOU goes out to our current volunteer Board of Directors and to those that ran for a seat on the board. Also, thank you to our engaged members that took the time to vote. Members matter, and your votes matter. Vote to elect who will guide FFCCU into the future. Part of what makes credit unions different than banks is that each member of a credit union is an equal shareholder of the financial co-op; which means you have a say as to what happens at your credit union. Another big difference is that we are governed by a volunteer Board of Directors, elected by our members. These individuals serve as your voice here at the credit union and make important decisions on matters such as rates, promotions, policies, procedures and guide the overall direction of our credit union. It’s up to you to elect the individuals you think will serve in the best interest of you and our membership. View the candidates and then cast your vote for up to three individuals. All votes are private, secure and will be audited by a third-party. Voting Eligibility: primary account holder, age 16+, in good standing (having at least $5 in share account).